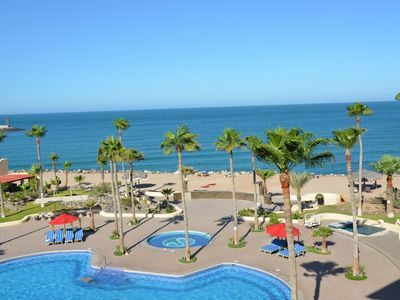 Panoramic ocean view, authentic cuisine and artistic decor make your stay at Casa Lido a unique and authentic Mexican experience. 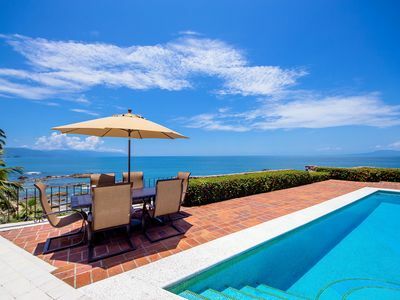 Is one of the Original Homes build with the Architecture in Classic Vallarta Style, providing the robust flavor of Spanish Hacienda style living in Conchas Chinas upscale neighborhood , surrounded by a peaceful environment so it’s easy to relax and enjoy. 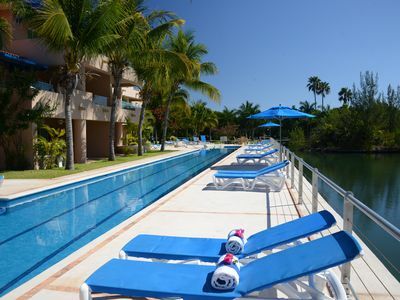 The pool is surrounded by the ocean view of Bandera’s bay, The spacious terrace is the perfect place to enjoy the sunset or lounge away the afternoon. 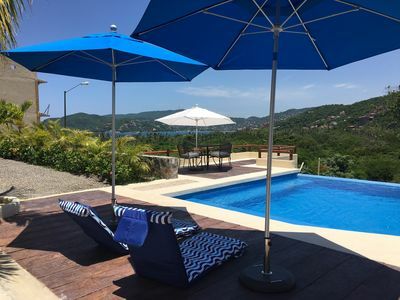 This luxurious vacation rental offers a fully equipped kitchen with staff, individual sitting areas, comfortable bar and lounge, large pool and Wi-Fi; management and concierge services to fulfill your expectations and personal needs. 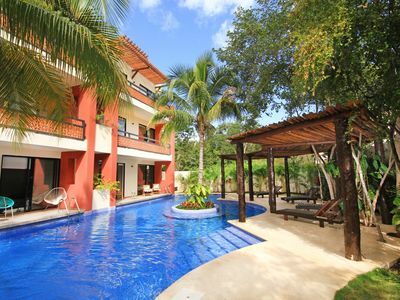 The villa has 4 bedrooms, all with private baths. 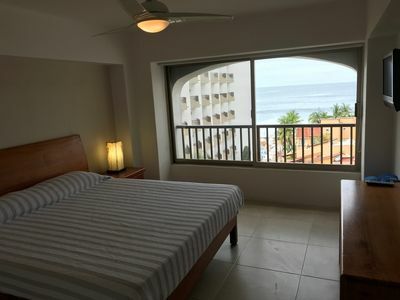 The 2 bedrooms on the top level all have ocean views & terrace. 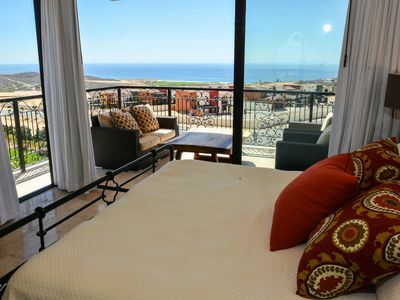 The 2 bedrooms on the lower level open onto the patio with ocean views as well. 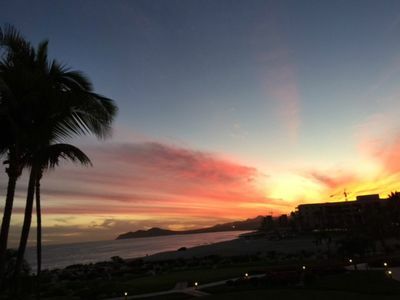 The ocean front hacienda offers the perfect combination of Mexican charm and class. 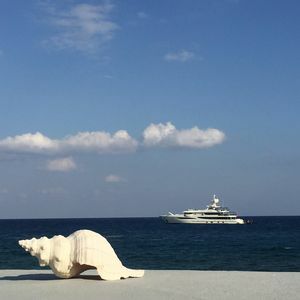 It’s easy to understand why guests call Casa Lido “Heaven’s Patio.” The faint cry of pelicans, a light breeze and waves crashing awaken your senses. You stretch your body in the soft, caressing linens and realize that you just had the best night of sleep you’ve had in a long time. 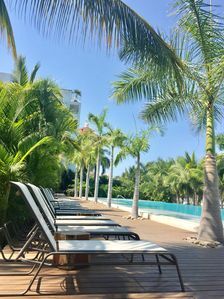 You enjoy your breakfast of freshly brewed organic coffee, fresh squeezed orange juice and Mexican-style eggs on the terrace while overlooking the expansive view of the bay. 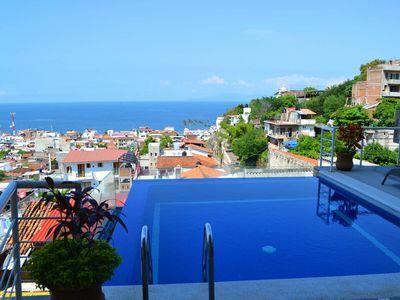 You eagerly await the day and congratulate yourself on finding this amazing accommodation to appreciate Puerto Vallarta, Mexico. 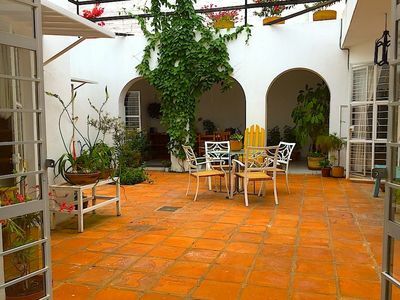 A central patio area is enclosed in a typical Mexican style. There is a fountain and private sitting area to watch the sun set. 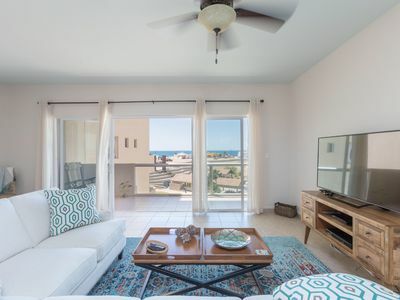 The common areas include a dining area, living room with massive fireplace and partitioned bar, all with access to the terraza and with view of the ocean. 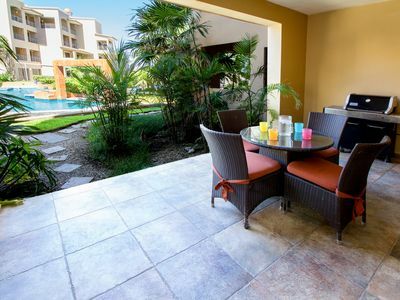 The expansive terraza is the perfect location to enjoy breakfast, get a suntan and take a dip in the large swimming pool. Our master suite has king-size bed, private bathroom, and walk in closet, including a stunning ocean view; you can curl up in front of the fireplace. It opens to the sweet sound of a fountain in a garden. 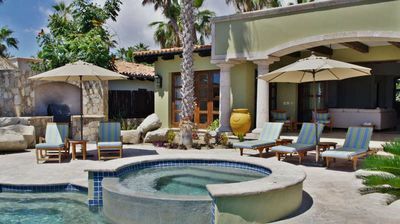 This spacious suite has two double beds, a private bathroom, fireplace; it opens to the main patio, and has ocean view. 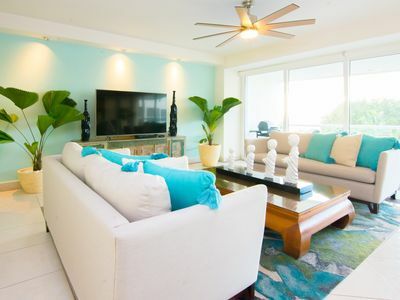 This second floor suite has a king-size bed, private bathroom and ocean view, overlooking of the dancing palm trees. 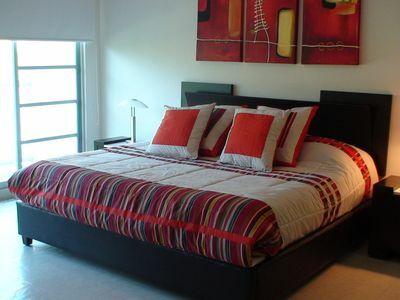 this second floor suite has a king size bed, private bathroom, with a balcony over viewing the blue waters of the bay. 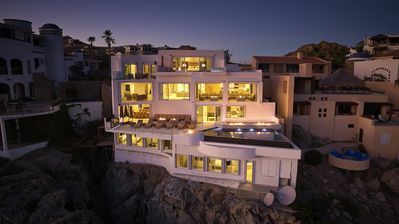 The design and position of the rooms and also the open dining/living rooms permits a very nice permanent sea breeze. For guests requiring even more bedding, we can have extra-beds ( EXTRA COST ), Just let us know in advance and the bedding and luxurious linens will be awaiting your arrival. You can have as few or as many family members or guests as you like and it will be a guaranteed great time full of memories. 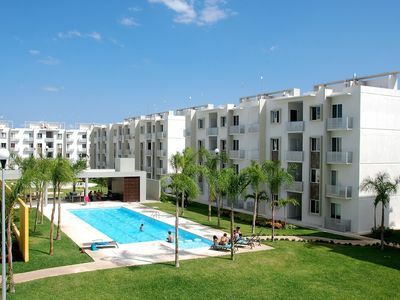 Spectacular Luxury Apartment in Diamante ACAPULCO.